Enterprises are investing in a variety of technologies to help them achieve their digital goals and keep up with changing business demands. Networking is a critical component of the infrastructure that is responsible for application availability, performance and security. 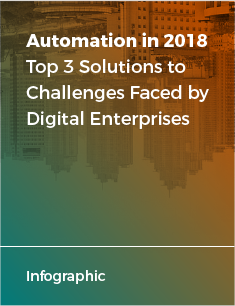 The rapid growth of digitalization is the single greatest factor driving change in IT infrastructure, and automation initiatives are at the top of the list. 2017 marked many technological advancements, but there are still many challenges to address next year.